Back when Cool Britannia ruled the fashion world and the Americans went mad for all things colonial, Hollywood film studio Warner Bros. gave the green light to a project stuck deep in development hell. The motion picture in question boasted enough Albion charisma to give Her Majesty a hot flush – bowler hats, catsuits, vintage Bentleys and lemon tea. It could only be The Avengers. Based on a script by Don MacPherson and staring three enormous A-list stars – Ralph Fiennes, Uma Thurman and Sean Connery, the film held all the hallmarks of a box office smash. However, the 1998 remake of the 1960s TV cult classic is remembered for all the wrong reasons. Even when viewed through contemporary eyes, the incoherent 89-minute celluloid travesty constantly frequents the top ranks of ‘worst film’ polls. It crashed headlong into a flurry of tarnishing reviews when released and barely scraped together enough box office gusto to cover half the production costs. The film’s failure sent shockwaves through the merchandise market. Two soundtracks albums were slated for release, alongside a novelisation of the movie, a ‘making-of’ book, action figures, posters and all manner of media tie-ins. 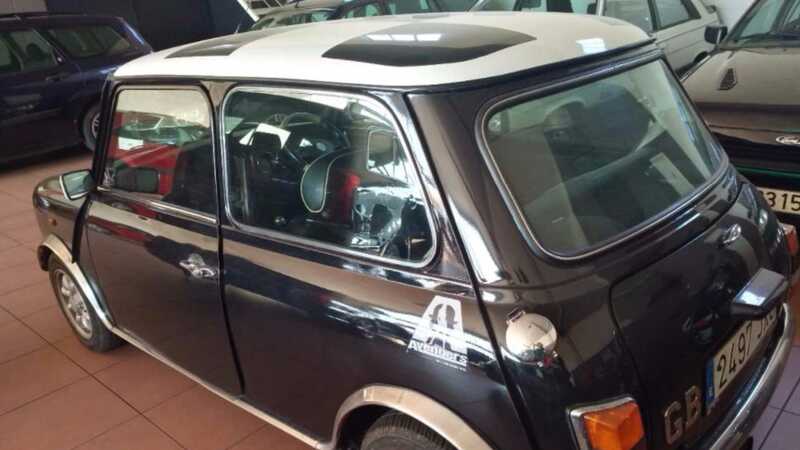 Yet, one of the most alluring was a crossover never before seen on such a scale – a special edition ‘Avengers’ vehicle; a stylish Mini Cooper. While most viewers left the cinema in either a confused or angered state, petrolheads at least found some closure with The Avengers' vehicular action. Slicing through the English countryside in a sky blue Jaguar E-type, cat suited-Uma Thurman (Emma Peel) led a dapper looking Ralph Fiennes (John Steed) through a brutal automotive escape. Pursued by robotic bees under the control of a maniacal Eddie Izzard, the chase not only featured Jaguar’s automotive icon in a starring role, but also boasted Rover’s coveted Mini Cooper. Employed as a mechanical henchman to Izzard’s thug and Shaun Ryder’s goon, a total of 11 Minis were supplied for filming by the Rover Group. Half of these became stunt cars, already used by Rover for safety testing and never intended for public use. They actually had destruction orders on them. 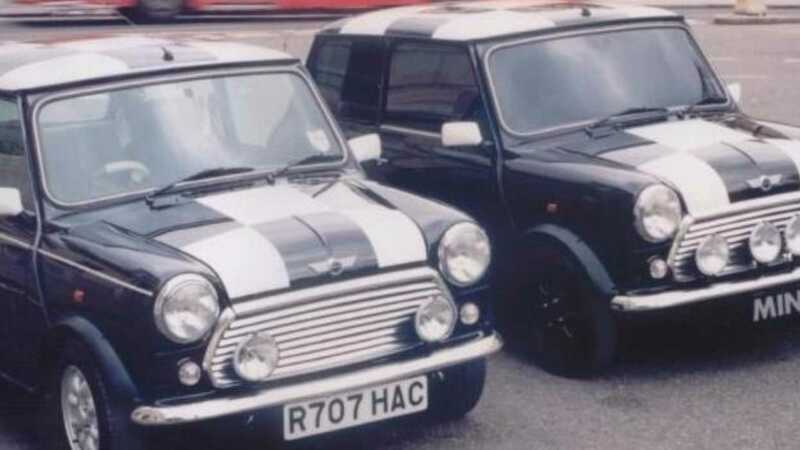 Of the 11 Mini Coopers utilised for filming, only four survived. 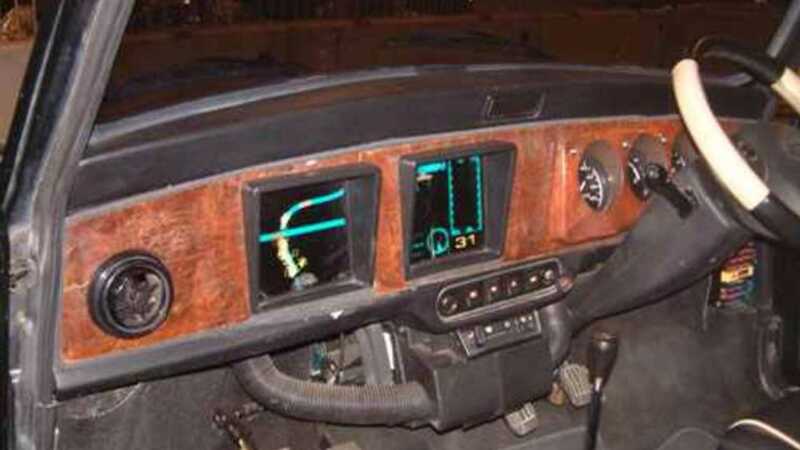 One of the remaining examples was the hero car, Eddie Izzard’s bee control vehicle with a monitoring system added by the film crew. After filming was complete, Rover handed the four remaining cars over to the Heritage Motor Centre, where they were used as part of an education programme designed to promote safe driving. This programme ended on 14/6/2005, but the remaining Mini’s ordeal wasn’t over yet. 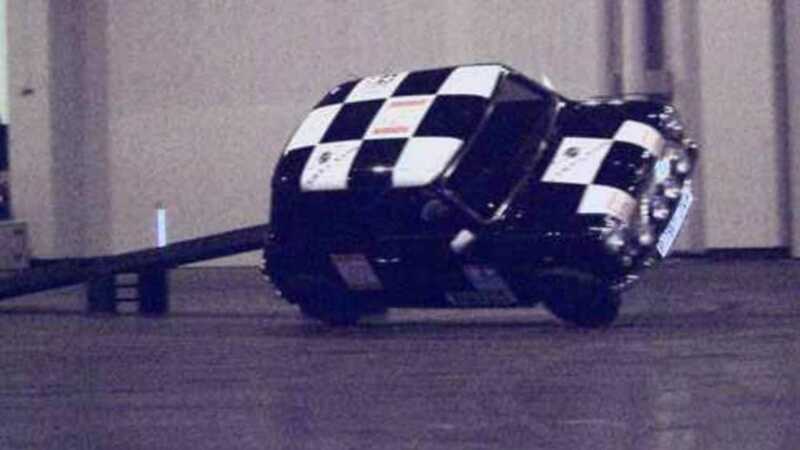 Stunt driver Russ Swift snapped up all four Minis to use as part of his touring stunt shows, although he sold the one used by Eddie Izzard in 2006. The other three were reportedly driven to death. With anticipation at fever pitch, The Avengers was tipped as the movie event of summer ’98. Association with such a production appeared sure-footed marketing gold, and was certain to inject the Mini with a prominent sales boost. 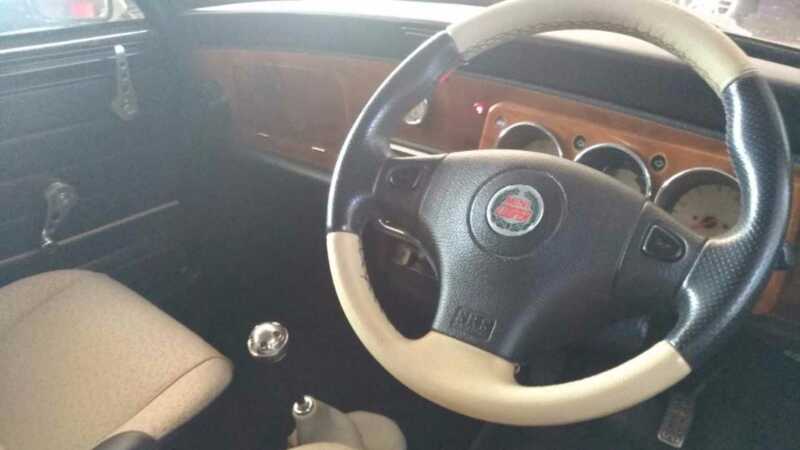 Lavishing the interior with all manner of fine touches, from a polished wooden dashboard to unique leather seats, the exterior received a bespoke tinge of black paint mated to a chequerboard bonnet and boasting the steadfast 1275cc fuel-injected engine. There was also a logo for the film prominently displayed on the back flanks. A release date was set for the order books to open, with the first batch of special Avengers Edition Minis to hit the road for 1999. Except, with the failure of the film, the project simply died away. 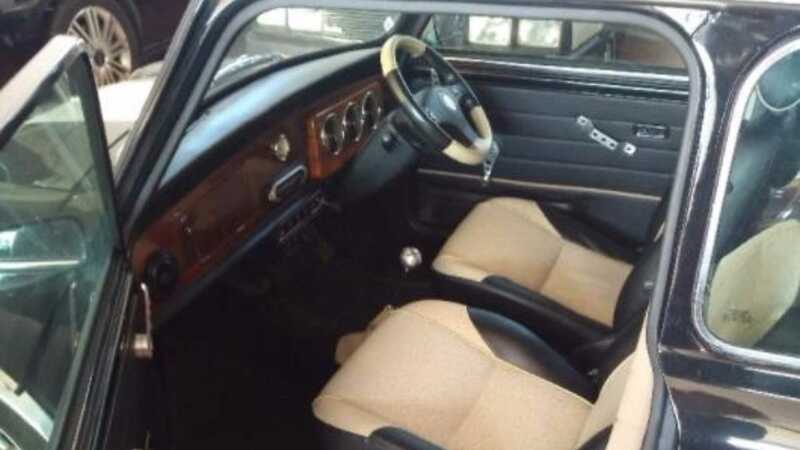 You won’t find it listed in any automotive history book, nor locate the vehicle in any list of special Minis. 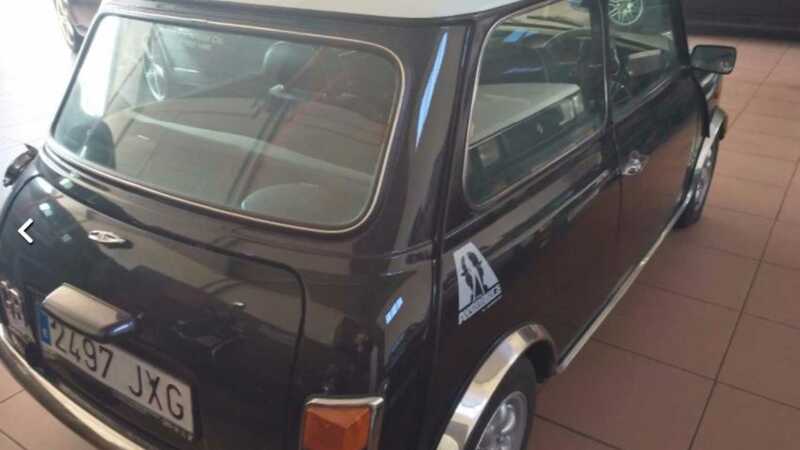 Quite how many were made remains a mystery, but if you happen to stumble across a genuine Avengers Mini Cooper, we’d advise you snap it up – nothing says 'investment' quite like a rare classic Mini. 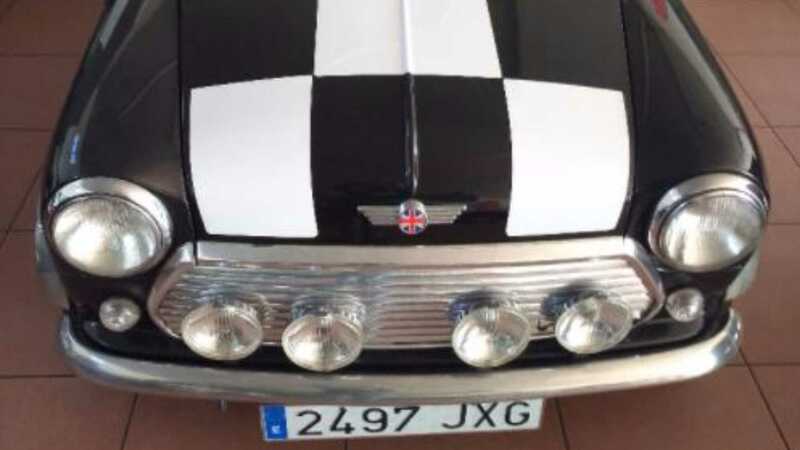 We know there is a handful out there, as this [Spanish advert](https://www.miclasico.com/136-rover/7499-mini-cooper-avengers-limited-e) proves. The film itself has gained something of a cult following, with a petition for a director’s cut well underway. The director, Jeremiah S. Chechik, has long offered to edit the film for free after Warner Brothers slashed his vision to tatters.